From the agricultural fields to the wonderful banks of the Danube River, Select Holidays wants to take you on this one of a kind tour. 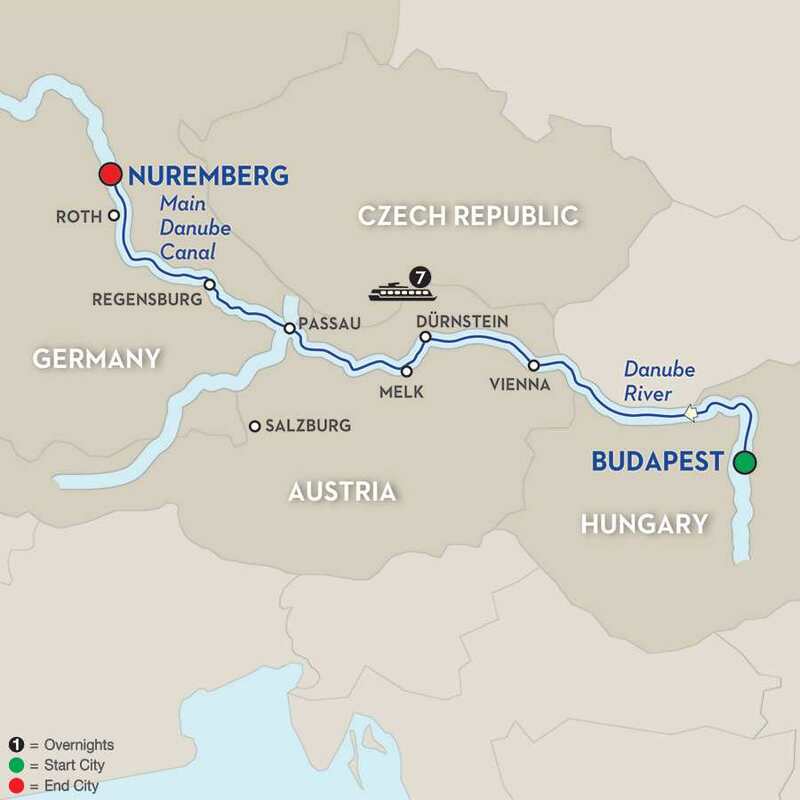 Enjoy an 8 Day land tour, then board Avalon Waterways, "Vista", cruise vessel, for another 8 days, cruising from Budapest, Hungary to Nuremberg, Germany. Take an overnight flight from North America to Budapest Hungary. Arrive Budapest, the capital of Hungary, meet the local guide and transfer to hotel for an overnight stay and dinner. Travel to Lajosmizse to visit a Charolaise cattle operation and learn the families unique technique for creating paprika. Have lunch in a gypsy restaurant. Tour the city of before checking into hotel for dinner and an overnight stay. Travel out of the city to visit the “Enying Agricultural Corporation”, the largest in Hungary. Afternoon visit to the Agatidi Distillery for tasting of some of Hungary's fine brandy. Dinner at a traditional Hungarian restaurant. Tour the city of Budapest, from the Central Market Hall to Heroes Square, City Park and so much more. Transfer to the waiting “Vista” Cruise Vessel to begin an 8-day adventure on the Danube and Main Rivers. Enjoy a ‘Welcome Aboard Reception”. Centre to the mighty Habsburg Empire; the lavish Hofburg Imperial Palace Complex; and the Vienna Boys Choir. Be sure to take a break to enjoy some Vienna coffee and pastries. This is where three rivers converge and where one of the worlds largest pipe organ can be found. There are optional full day tours today. One to Salzburg where the “Sound of Music” was filmed and the other to Chesky Krumlov in the Czech Republic and an UNESCO World Heritage Site. Sail into Regensburg one of Europe's best preserved medieval cities. Walk across the Stone Bridge, oldest of its kind in Germany. Grab a beer and enjoy a snack at the historic Old Sausage Kitchen.